X-Pac 1, 2, 360 Recap - WrestleMania Main Event Set, Will McGregor or Gronk Appear? 18 Years Since the Last Nitro, More! X-Pac opens today’s show by addressing a recent question sent by a fan to Cody Rhodes. 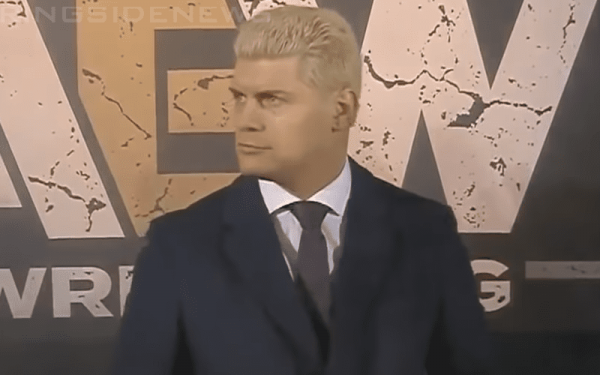 The fan asked Rhodes if AEW might run a show during WrestleMania weekend next year. Rhodes responded by saying that AEW will never run a show during WrestleMania weekend because that’s WWE’s weekend. X-Pac loved Rhodes’ response. He notes that if you run a show during ‘Mania weekend you’re piggy-backing off of WWE, and AEW clearly doesn’t want to piggy-back off of anyone. This was a strong statement by Rhodes and AEW and it’s the right thing to do. This solidifies AEW’s own identity and their own space within the industry. Lucha Underground has been in a battle with some of their talent recently, and this past week they essentially settled with a few of their talents including Joey Ryan. X-Pac thinks this is good, noting that it’s kind of pathetic that these talents had to take Lucha Underground to court to get this settled. While Lucha Underground executives ponder whether they want to produce another season or not, these talents need to make a living. Some people might say that these performers should have been more careful with what kind of contract they were signing, but sometimes when you’re desperate you’ll sign anything and hope that it just works out.